I find it hard to not get absorbed in big sporting events. Usually things like the Olympics, Tennis Grand Slams such as the Australian Open which is on now, and to a certain extent, Football World Cup peak my interest. Of course, there’s also all kinds of motorsport including F1, WRC, Indycar, Nascar and many others that I enjoy, but those are regular events and don’t last over weeks at a time as the others I mentioned do. As far as where I would prefer to watch events such as these. Most of the time I would rather watch on TV if you get a better view of the action than if you’re at the venue. Motorsport is a good example where you don’t really see a lot of the action if you’re stuck sitting at one part of the track. You gain in atmosphere but would end up not knowing what was going on. 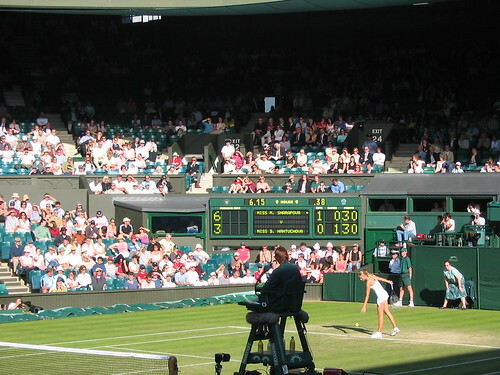 In a sport like Tennis though, where you don’t miss out on much by being there in person, I’d love to someday visit a tournament like Wimbledon or the Olympic tennis event there. I suppose you might miss out on the up-close views and instant replays of TV, especially if you’re sitting a long way back from the action, but you’ll feel the atmosphere and excitement of being there live and never be so far away that you won’t know what’s happening.